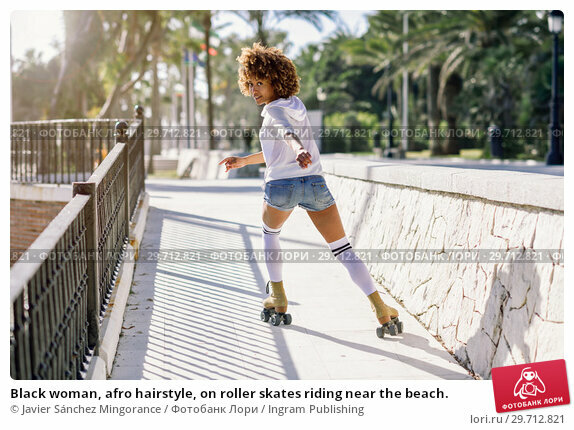 Black woman, afro hairstyle, on roller skates riding near the beach. Дата съёмки 20 декабря 2017 г. Young black woman on roller skates riding near the beach. Girl with afro hairstyle rollerblading on sunny promenade with sun backlight.